Andrea Dovizioso pulled the show with the last lap thrilling finish in Qatar. Dovizioso took on the reigning champion Marc Marquez in the last drag before the finish line to take his 13th career win at Losail circuit in Qatar. It was a deja-vu moment as the race was the exact copy of what had transpired here last year. LCR Honda rider Cal Crutchlow managed to outdo Alex Rins in the last lap to fill the third place on the podium. He had qualified 6th on the grid last day in the qualifying session. After having a dismal outing in the qualifying last day, Valentino Rossi put up a phenomenal effort in the race. After starting from the 14th spot on the grid, he put up a great show to finish in the fifth place. Apparently, if he had a couple of laps more to fight, he might have gotten better of podium finishers. The other factory Yamaha rider- Maverick Vinales, drifted down the rankings after failing to take advantage of the pole position. Suzuki bikes were quick through corners and responded well in the race after qualifying beyond the top-10 positions last day. Alex Rins was quick enough to stay in the contention of podium finish throughout the race. Though, only losing it in the end. His teammate Joan Mir, who was in his debut race, put up a wonderful show and made a good start in the race. 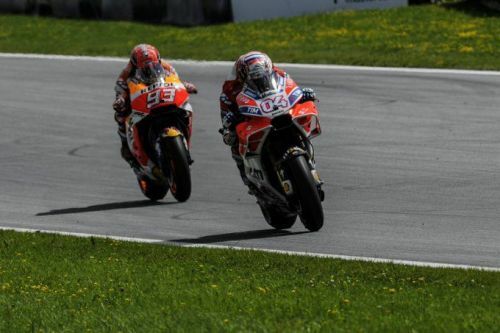 However, with the increasing pressure from Maverick Vinales and Valentino Rossi, he later lost few places and eventually finished in the 8th place. Team Ducati Pramac had mixed results as Danilo Petrucci managed to finish 6th after starting from the 7th position on the grid. However, Jack Miller failed to finish the race after suffering bike issues. He had earlier qualified 4th on the grid. Petronas Yamaha rider Fabio Quartararo turned heads with his valiant show in his debut race. He had qualified in the 5th place but the last moment glitches in bike forced him to start from the pitlane. However, he advanced quickly and finished 16th on the standings. Two-times World Champion- Jorge Lorenzo had a terrible first outing on his new Repsol Honda bike. He finished 13th after starting from 15th spot on the grid.